The NBA’s schedule-makers had one job when it came time to construct the annual Christmas Day quintuple-header, and they didn’t screw it up. That task? 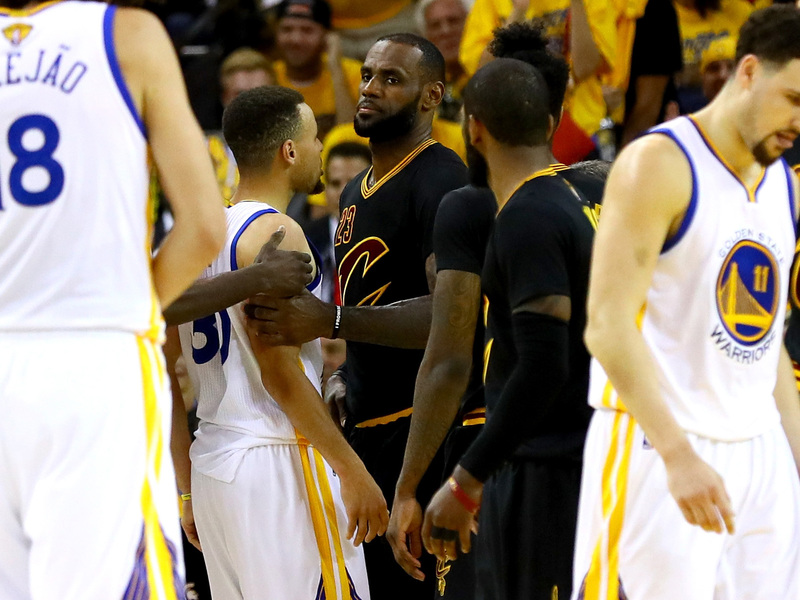 Make sure that the Cavaliers and Warriors, fresh off back-to-back Finals matchups, were pitted against each other on network television. The other four games are trivialities compared to the Warriors’ first shot at redemption after they frittered away a 73-win season with an unprecedented Finals collapse. While the rest of the slate lacks a signature showdown, the 10-team field is representative of what’s been a strong start to the 2016–17 season. Five of the league’s six best teams will take the court on the holiday, with the perma-snubbed Raptors being the only exception. As many as 15 members of the 2016 All-Star teams are scheduled to play, pending any late health-related scratches; James Harden is the only leading MVP candidate whose team is off, and Blake Griffin, who recently underwent knee surgery, is the only A-lister who will miss the party for health reasons (so far). Without further ado, here’s a full breakdown of Sunday’s five-game slate, which includes an intracity rivalry and multiple under-23 studs in addition to the much-anticipated Finals rematch. The following preview is meant to double as a viewer’s guide, with each game being ranked on its “must-see” potential from 1 (gather around the new HDTV) to 5 (go ahead and drown in egg nog). 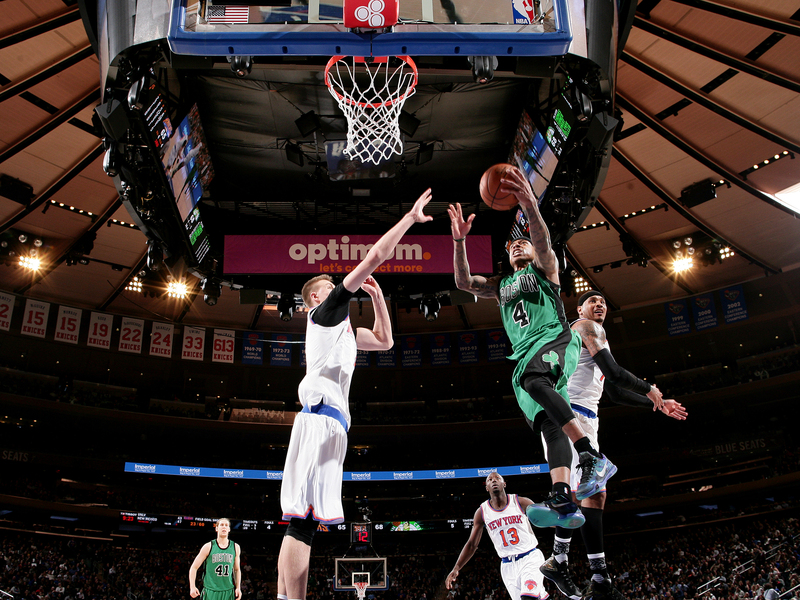 Previous meetings: The Celtics beat the Knicks 115-87 in Boston on Nov. 11. Main storyline: Are the Knicks for real? With Houston getting the day off, New York gets to wear the “Biggest Surprise Team” tag for the day. At 16–13, New York has sailed above its depressed preseason expectations thanks to a productive and healthy start for Carmelo Anthony, the continued blossoming of superstar-in-the-making Kristaps Porzingis, and a mediocre offense that has been consistently good enough to make up for a weak defense when pitted against lesser competition. Although the Knicks are 7–4 so far in December, all seven wins came against below-.500 teams and two of the losses came in blowout fashion to the Cavaliers and Warriors. New York’s minus-2.7 point differential ranks 11th in the East and 21st overall, suggesting that its current spot in the conference standings could be difficult to maintain. Boston, meanwhile, has finally generated some sustained positive momentum since welcoming back Al Horford, entering Friday with a 7–4 record in December and riding season-best four-game winning streak. If the Celtics are serious about closing the gap on the Atlantic-leading Raptors, this is the type of game they should win. But Anthony, Porzingis and company have proven they aren’t pushovers this season, making the early game worth waking up to watch. Matchup to watch: Carmelo Anthony versus George Karl. Sure, the longtime coach won’t be directly involved, but he opened a giant can of worms this week when excerpts from his new book “Furious George” leaked online. The excerpts included criticisms of a number of Karl’s former players, including Anthony, who was singled out for his alleged lack of commitment to defense and his upbringing in a single-parent household. Anthony took the high road on Thursday, dodging questions and telling reporters that he “hopes [Karl] finds happiness,” but he will get his chance to make a bigger statement in front of a gigantic audience on Sunday. Christmas Day rank (1 to 5): No. 3. The 7’3” Porzingis and the 5’9” Isaiah Thomas are arguably the most delightful players at their respective heights in NBA history. With Anthony, Derrick Rose and Brandon Jennings all vying for time on the big stage, the Madison Square Garden crowd should get its money’s worth. Previous meetings: None this season. Main storyline: The Warriors blew a 3-1 lead in the Finals. This one writes itself. Golden State won in 2015. Cleveland won, in pinch-yourself fashion, in 2016. The rest of the world hasn’t let the Warriors forget about it and, in turn, the reloaded Warriors have reclaimed their pride by wreaking havoc all season long. At 26–4 entering Friday, Golden State was quietly on a 71-win pace, even though Stephen Curry has rarely had to hit sixth gear and even though coach Steve Kerr had to rework his playing rotations after a decent amount of off-season roster turnover.